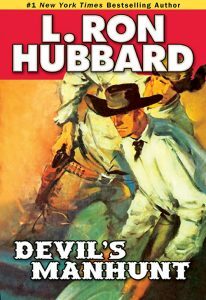 We will be sending you newsletters with updates and special offers from the vast L. Ron Hubbard fiction library as published by Galaxy Press. Please whitelist our email address to make sure our emails are delivered to your inbox and not to your spam. Choose from any of our selection of FREE Science Fiction & Fantasy, Action & Adventure, Western, Mystery & Detective, Historical Fiction and Military & War titles below to download. Meek, diffident Dr. Henry Mudge of Yamouth University undergoes a dramatic personality change when he discovers a mathematical equation that defines a negative dimension, enabling him to go anywhere in the universe based off what he thinks of–Paris, the Central Park Zoo, the Moon and Mars. Unfortunately, in addition to upsetting a lot of people with his escapades, he is faced with the problem of getting this terrifying new ability under control before he is transported to the one place he must never think of. American Captain Smoke Engel loses his ship, the Witch, to a corrupt Chinese money lender. 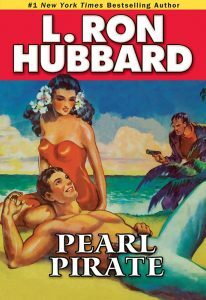 In order to get it back, Engel must embark on a deadly errand to steal a fortune in black pearls from the most ruthless pirate on the South Seas. 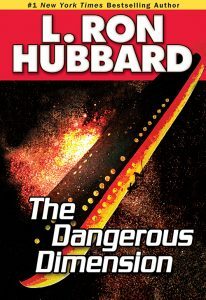 As the son of a United States naval officer, by the age of eighteen L. Ron Hubbard had traveled over a quarter of a million miles and made three Pacific crossings to a then mysterious Asia. This included one crossing from Guam braving typhoons aboard a working schooner to finally land on the China coast. It was from those personal experiences he was able to write stories such as “Pearl Pirate” with such authenticity. Young Tim Beckdolt had been working Desperation Peak for eight long, treacherous months before striking a rich seam of gold. Now, at the point of completing his grueling labor and having stockpiled a small fortune, Tim finds himself at the mercy of two sadistic strangers who have taken his gold and now want to take his life. Tim manages to escape but finds he is being hunted like an animal. In a place where the only law is the law of survival, Tim will have to live by his wits . . . or die by the bullet. Imagine that your father is one of New York City’s top gangsters, and that you want nothing to do with him or his criminal empire. Now imagine he’s been murdered . . . and the only person who gives a damn is you. Meet Mat Lawrence, a stand-up guy who’s got one thing on his mind: revenge. The last place Mat wants to go is back to New York, but that’s where the killers are, and he won’t stop until they’re dead . . . or he is. And there’s only one man who can help him track them down: his father’s criminal attorney—the Mouthpiece. 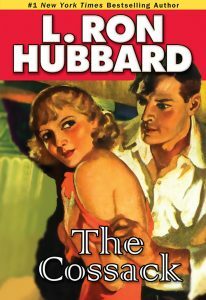 Mouthpiece was originally published in the September, 1934, edition of Thrilling Detective. 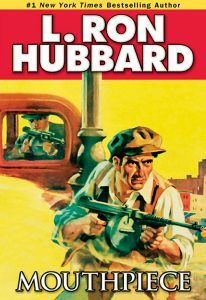 That same year, as the youngest writer ever to serve as president of the New York Chapter of the American Fiction Guild, L. Ron Hubbard sought to promote greater accuracy in the writing of detective and mystery stories. To that end he invited the coroner to speak to the Guild members over lunch. He later recounted that “they would go away from the luncheon the weirdest shade of green.” But, we can assume, they also went away better informed. It is said that true love conquers all, but equally as true that “hell hath no fury like a woman scorned.” When Lieutenant Mertz Komroff spurns the sexual advances of the Duchess of Novgrod in pre-Revolutionary Russia, it sets in motion a series of deadly events from which there are no winners. A grim revenge drama, the story is based on historical events around the Russian revolution, encompassing the passion and emotions during this period of upheaval. 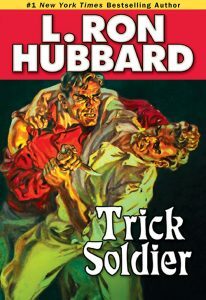 L. Ron Hubbard said this about the cossacks: “It takes a fire of life within to set life on fire.” And that fire is flamed in this short story set against the historical background of the Russian revolution. Meet Lieutenant Flint: hard-edged and muscle-bound, radiating machismo—a bull of a soldier. In the opposite corner stands Captain Turner: with his pencil mustache and tailored shirts, he’s a Trick Soldier—smart, crisply-dressed and always at attention. They’re fire and ice, oil and water. Ten years ago and a thousand miles away, they attended boot camp together. They didn’t get along then . . . and they don’t get along now. Reunited in the Haitian jungles, in the midst of a fierce rebel uprising, they confront the most dangerous enemy of all—each other.